and True Guide (Passive Implement Steering). Connects to all existing Trimble steering solutions including EzSteer, EzPilot and CNH Steer ready tractors. Accuracy options RangePoint RTX (FREE 12 months), CentrePoint RTX and RTK. Come see the exciting new XCN-2050 Display. Do you have a FM750, FM1000, Pro700, or Intelliview IV display? 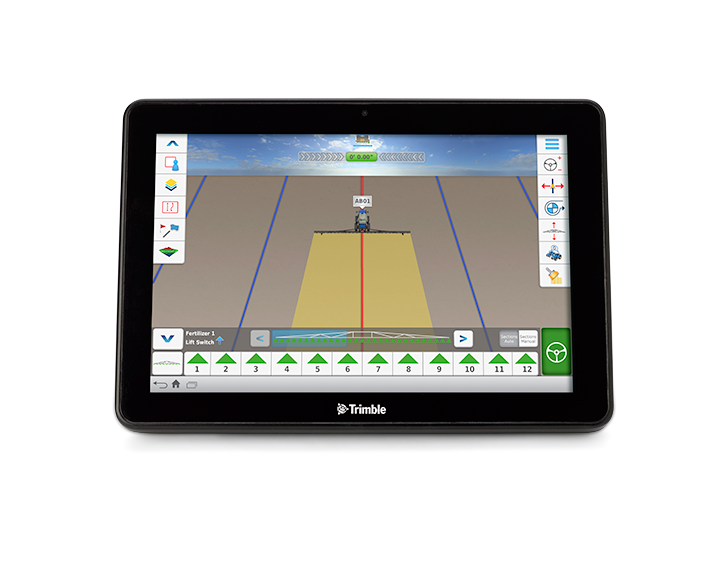 Get the best out of your Display by connecting a Camera or 2 for this coming seeding operations. Inside Air Seeder Tanks (All our cameras do have infrared). Placed on Air Seeder Bars to check for blockages and rear vision whilst transporting. End of chaser bin and mother bin augers to enable safe and accurate unloading from the tractor seat as well as rear vision when transporting. If possible place camera 60-90cm from top of auger to enable more accurate vision. Inside semi tippers to monitor loading of grain and unloading when tipping. Rear of semi tippers when backing onto augers, air-seeder carts etc. Multi spreaders belt, spinners, inside hopper. Planters and Harvesters including, carrot, potato, olive and grape to name a few. Back of vehicles when constantly hitching up to trailers and implements. Is your AutoSteering GPS system running on Autonomous, or paying $1800.00 for signal each year for VBS or HP? Is your Steering system dropping out?! Then consider Upgrading to the latest NH372 or CaseIH372 GPS receiver which will near double the number of satellites and comes with RangePoint RTX signal free for the first 12 months, and an accuracy of 15cm P2P. Give us a call to see whether you can take advantage of latest CaseIH/NH 372 GPS receiver. FREE 12 month redemption on all new FM750, FM1000, XCN2050, CaseIH372 and NH372 systems. Ronco Motors have hundreds of satisfied customers using the NEW correction service, have you tried it? Call us to find how you can benefit from the RangePoint RTX Corrections services on within your farming operation. Then just $450/year thereafter.